India, Asia, Africa, wild and exotic places where travel is an adventure and treasures are a must. This twenty inch brass, copper, and quartz necklace is inspired by memories and day dreams of adventures like that. 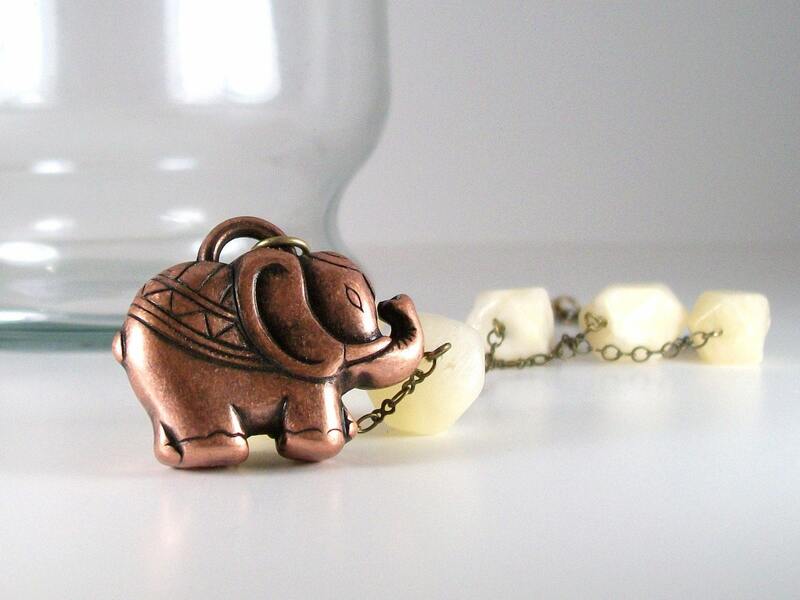 An Indian inspired copper elephant floats freely between large geometric quartz chunks interspersed along the length of the chain. Finished with brass jump rings and a lobster clasp this is a comfortable, secure, and truly interesting necklace for any time and any occasion! Folksy :: Buy "Jasper gemstone beaded necklace with copper pearls"